The digital footprint is a concept that I feel very comfortable asking my secondary students to provide. Sara Kajdar, interviewed the article Digital Footprints in 2010, says she’s having the digital footprint “conversation with high school students, because they’re in the process of wanting to be known for their good work” (para.6). Like these students, I’ve really enjoyed looking for evidence that my digital footprint is changing since starting this blog in September. Of course I’m thrilled with this progress. 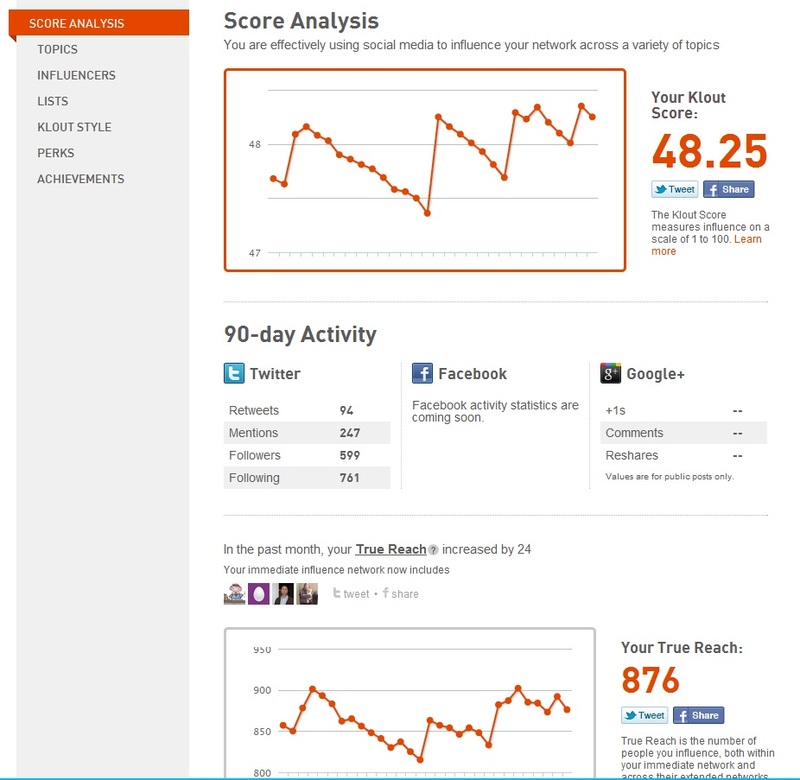 Klout score has remained steady at 48.25. Twitter followers have increased from 450 to 600. My blog statistics indicate that I’ve had 662 views and Clustrmap tells me that the visitors are from all over the world. Coiro, J., Kajder, S., & Welch, M.. (2011). Digital Footprints. Language Arts, 89(2), 148-153. Retrieved December 4, 2011, from ProQuest Education Journals. (Document ID: 2508577331).